The Carlisle 690407 Petal Mist® salad bowl is made of clear, break-resistant polycarbonate plastic. 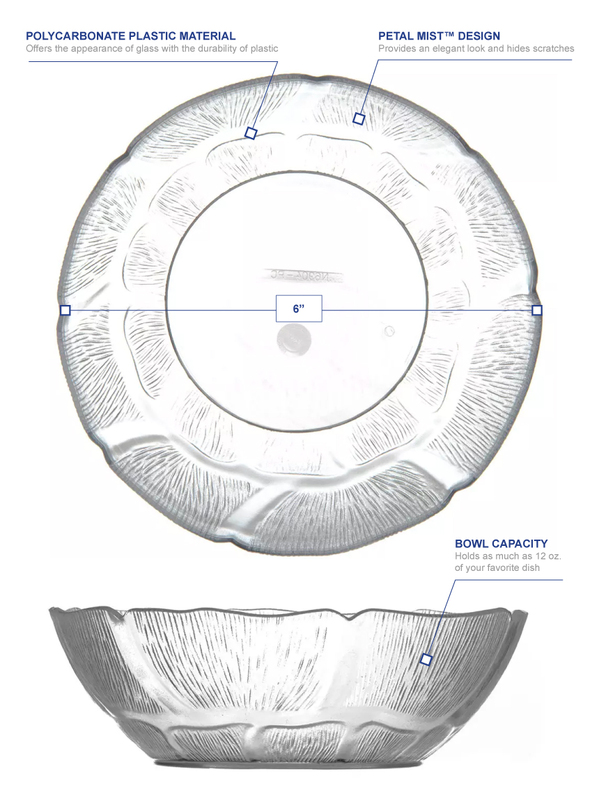 Its elegant design hides scratches, fits settings from buffets to catering events, and is safe in temperatures between -40 and 212 degrees Fahrenheit. 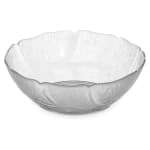 This salad bowl has a practical capacity of 12 ounces and a full-rim capacity of 20 ounces.